Smart meters are a type of meter that can be used to measure your electric, gas or water usage. The utility companies main argument for installing smart meters is that they save them money because they no longer have to employ people to go out and read your meter. The downside is your health is put at risk! They pose a risk to you and your family because they use wireless or another form of electromagnetic field technology to transmit your consumption data. There is also an infringement of privacy issue. Smart meters are a part of an overall system that includes, where wireless is the means of transmission, a series of wireless antennas at the neighborhood level. The system collects and transmits wireless information from all the smart meters in your area and sends it back to the utility company. They do so by using microwaves or radio frequency radiation, just like your cell phone or wireless router at home. A smart meter emits radio frequency microwave radiation that penetrates the walls of your home and into your home 24/7, 365 days. The utility companies argue that because the radiation being emitted is non-ionizing that it’s safe. It’s not safe. Numerous studies point to the adverse biological effects associated with the non-ionizing radiation used by smart meters. The big difference between smart meter radiation and cell phone radiation is that having a cell phone or not is a matter of personal choice, if you don’t want a cell phone you don’t buy one. Smart meters, on the other hand, are being forced on populations around the globe. If you are suffering from insomnia, dizziness, headaches, high blood pressure, heart palpitations, memory loss, lack of energy, tinnitus (ringing in ears) and lack of concentration, it could be the direct result of the smart meter that’s installed in your home. 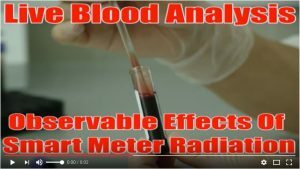 At a distance of 1 foot from the smart meter, with just 2 minutes exposure time, the difference in blood samples between people that have been exposed to smart meter radiation and those that haven’t been exposed is remarkable. Smart meters are not optional, and utilities are installing them even when occupants don’t want them. What’s The Difference Between Smart Meters And Conventional Meters? 1. Typically smart meters send information back to the utility company via a wireless signal. Instead of having a utility meter man (or woman) come to your home and manually do the monthly electric or water service reading, the reading is sent wirelessly. But it can also be sent via powerline networking which creates another form of EMF pollution as I will explain below. 2. 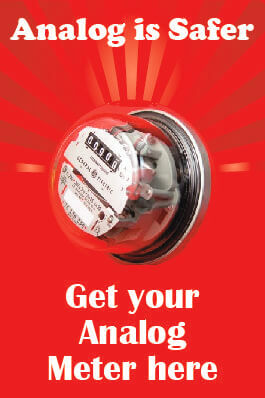 Unlike the older analog meters that have a spinning dial smart meters usually have a digital display. I say ‘usually’ because appearances can be deceptive. So you need to have a means of determining whether your utility meter is a smart meter, which is what I’m going to explain, but first I want to talk about the wider context. Your utility company can’t or won’t give you the information. They might refuse to give you the information or you might get simply get an employee who knows nothing about smart meters and EMFs. Increasingly the problem seems to be one the use of “plausible deniability.” If you ask the utility company kind of meter it is, they reply ‘an analog’. They will just not mention the fact that the analog meter has had a transmitting retrofit board attached to it. They will also tell you (if they admit you have a smart meter) that it only transmits when the guy drives by in the truck and triggers the meter to read it. 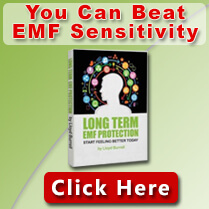 What they don’t tell you about is all the other EMF that is generated 24/7. Moral of the story: you can’t rely on the utility company for reliable information. 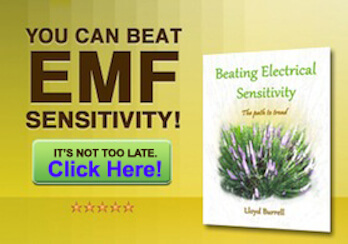 Call in an EMF consultant to take readings with an EMF meter. 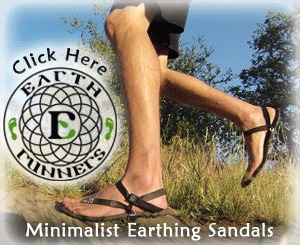 Take readings yourself with an EMF meter. Both approaches have their pros and cons. 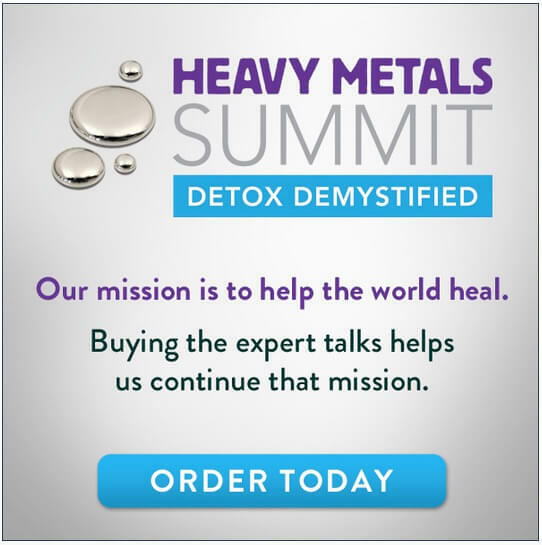 My preferred solution is to take my own EMF readings because it’s not difficult to do, the cost of buying an EMF meter will usually work out cheaper than getting in an EMF consultant and the advantage is you can use your meter over and over again, at work, with friends and family etc. You can easily check the amount of radiation your smart meter is emitting by using one of these radio frequency (RF) meters to measure the radiation levels. Document the reading with a video camcorder or take pictures as proof of the levels of RF radiation you’re being exposed to. This could help later in any dispute with your water, gas or power utility. The golden rule with shielding is to have an RF meter on hand to take readings before and after shielding to ensure its effectiveness. DO NOT just blindly shield without taking readings not only could you be wasting your money you might make matters worse. There are several ways you can shield with varying degrees of ease and effectiveness. 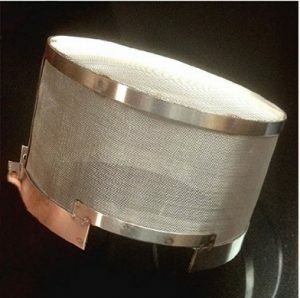 Install a smart meter guard to block the RF radiation emissions. This solution is fairly easy to apply, the guard just slips over your smart meter. The disadvantage is that it’s nearly impossible to shield 100% using this method. Smart meter guards fit on the top of the meter so inevitably there will be some leakage from the back. Shield the wall behind the smart meter to prevent the smart meter radiation penetrating your home. There are several ways of doing this, shielding paint is one way. The disadvantage is that it requires quite a lot of decorating type work and it only shields the room the room where you have applied the shielding material. Also this solution can be combined with the installation of a smart meter guard. Use a Faraday canopy to put a specially designed protective net over your bed to shield your sleeping area. The advantage here is that you can achieve near 100% shielding for where you sleep, which is the most important place to shield. The downside is the cost, Faraday canopies are not cheap. One workaround to make the smart meter guard more effective is to have an electrician pull the meter off the wall, and then slide shielding foil behind it or cover with shielding paint behind the meter. This avoids doing major decoration work. How Can I Shield My Smart Meter More Cheaply? As the video above shows, aluminum foil shields well – but I’m sure if the RF meter is moved into different positions (taken out of the direct line trajectory) it will pick up radiation readings. Note: This video merely demonstrates the effectiveness of aluminum foil. This is NOT how to shield a building from the output of a smart meter, this set up would be more effective in shielding the street! Another low cost shielding solution is to go down your local scrap yard and pick up an old Satellite TV dish (the bigger the better), this will give a nice parabolic shape on which you can stick your shielding material. Then cover with aluminum foil making sure you overlap and double fold the seams. Using an RF meter you can then move the dish into different positions (always positioning it between the smart meter and your home) checking your radiation readings inside your home to ascertain the position which offers optimum shielding. This solution won’t be possible where your smart meter is installed on an outside wall of your living accommodation, in which case it will probably be necessary to shield the wall. However you shield ALWAYS measure with an RF meter before and afterwards. If you don’t do this you’re running blind. So far we’ve focused on the radio frequency radiation issue because *typically smart meters send information back to the utility company via a wireless signal. But not all smart meters use wireless as a means of communication. Some smart meters use ‘powerline networking’ or ‘broadband over power lines’ (BPL). That’s to say they use the electrical wiring to send back the data to the utility company. Smart meters that function in this way do not emit a wireless signal but they introduce a form of electro-pollution on to your house wiring known as dirty electricity. The other little know fact about smart meters is that typically they use switched mode power supply (SMPS). SMPS is supposed to offer better efficiency and reduced cost in conversion of electrical power. Unfortunately it is also responsible for creating ‘noise’ on house wiring, otherwise known as dirty electricity. This is no small detail. So you may have a smart meter which is emitting radio frequency radiation and dirty electricity or it may just be emitting dirty electricity. For my recommendations on dealing with dirty electricity please click here. If you don’t currently have a smart meter installed in your home but you find out your utility company is going to install one, there are several things you can do. See this article for information on the steps you can take. The World Health Organization has listed smart meter wireless radiation as a possible carcinogen. This means that your smart meter, that’s on all day and night-all throughout the year, can increase your risk of cancer and other diseases. It’s time to get informed and take appropriate measures to protect your loved ones. 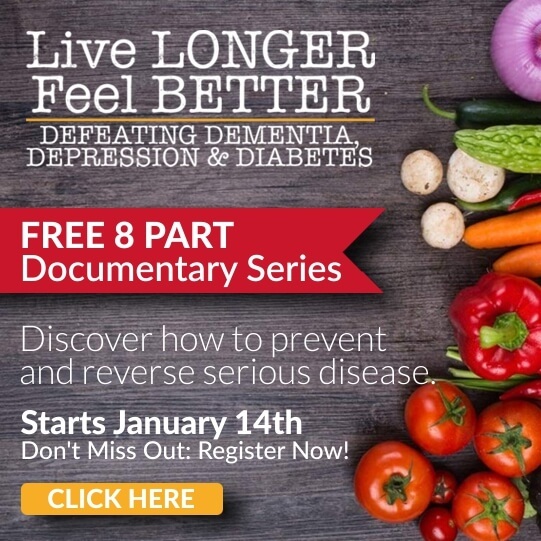 Take action now! It is difficult to understand why are utility companies are so intent on installing wireless smart meters when smart meters could do just the same job but much more safely by being connected to a regular telephone line. For information on steps to take if your utility company wants to install a smart meter read here. 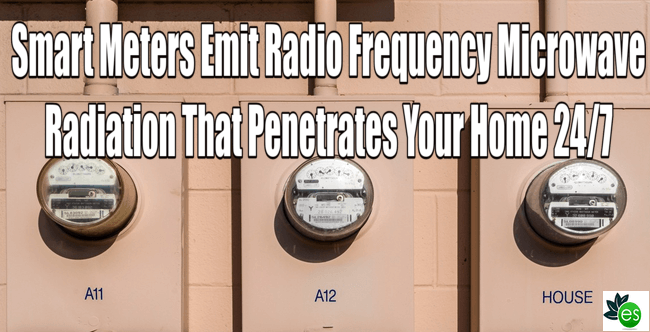 But smart meter radiation is only part of the problem, Click here if you are interested in learning more about EMFs and what you can do about them. This post updated August 2016. From what I’ve seen of shielding costs and complications, it would be less expensive and more effective to replace a smart meter with an analog meter– even if you hire an electrician to do it. Problem solved. Just be sure to lock it up, as recommended here by Lloyd. We had a smart meter installed on our home against us wanting it, we were told we had no choice – we live in spring, texas. We have had to move out of the master bedroom because we cannot sleep!!!!! We constantly have headaches, dizziness and ringing in our ears. We had none of this before this meter was installed. Dont listen to what the utility companies or government or makers of these meters tell the public, it is all big fat lies – it is all because of the money they are doing this nothing else. They do not care about the dangers of our health. We are suffering right now because of this horrid meter. We live in an over 50’s modular home village and to our horror found that of the 10 or so houses around us only one did not have a smart meter – maybe this why my wife feels ill about an hour after going into the house, while she is fine outside it. Just a couple of days ago I spoke to our electricity provider and a large electrical contractor in Australia about smart meters. In theory if your meter is being read by a meter man then it is not a wireless smart meter but the only way to get a definitive answer to this question is to test with an RF meter. I am trying to keep an open mind, reading what you sent me, but when he says you can get a doctors certificate to opt for another type of meter…this does give the game away. I find it difficult to believe them. he indicated, MID does not presently have plans to provide an opt-out choice for smart meters. The EMF levels are below levels specified by the FCC but these standards do not protect people from the biological effects of EMFs. The utilities companies are bowing to pressure from the public to allow people to opt out. An application has been filed with the Public Utilities Commission requesting that SDG&E customers be given smart meter opt-out rights. People wanting to opt-out of PG&E’s SmartMeter program can request to have the device’s communications system turned off. You need to fight this for your own good, the good of your family and your community. Send a letter by certified mail to the utility company informing them that you demand that the smart meter be removed. If you believe your health is suffering because of the smart meter, explain your symptoms, better still ask your doctor to write a letter detailing them. I live in an apartment. The room directly below mine has TWELVE of these things on the wall directly below my living room. What can I do besides move? I think effective shielding would be extremely difficult. You would probably have to shield the floor of every room and then it’s possible the EMFs would pass in the wall space between the rooms of your apartment. Moving looks the best option for you. I discussed the issue with the leasing office and they offered to put me in another apartment in a couple of months. Someone there at least seems aware of the issue. Graeme. 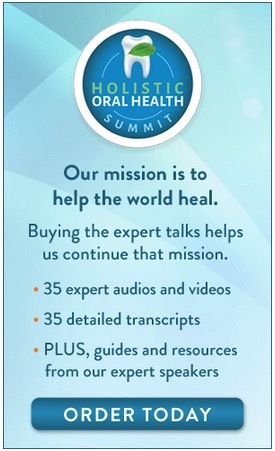 Well, where I live in California they won’t accept a doctor’s note for anyone to opt-out. I’ve opted out all I can and now the only thing they will allow me to do is to pay. In order to have a SM that is next to my analog one (but not running), I can pay $75 and $10 a month. How gracious of them… And who’s to say that they don’t turn on the SM sooner or later or why does it have to be installed??? I hate this company when I used to love them. As others have said, “What a PR nightmare” and for what?